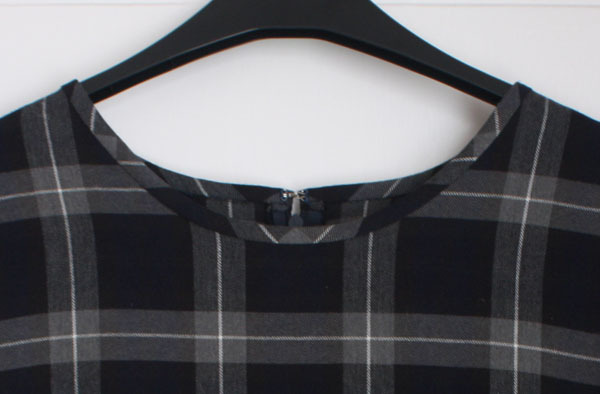 Do you find that since you’ve been sewing you notice a lot more details in clothing? I certainly have and sometimes find myself (subtly of course!) studying a garment that someone is wearing on the underground or on the street. Here are a couple of some details I’ve spotted that have inspired me and that I’ve been able to take pictures of. 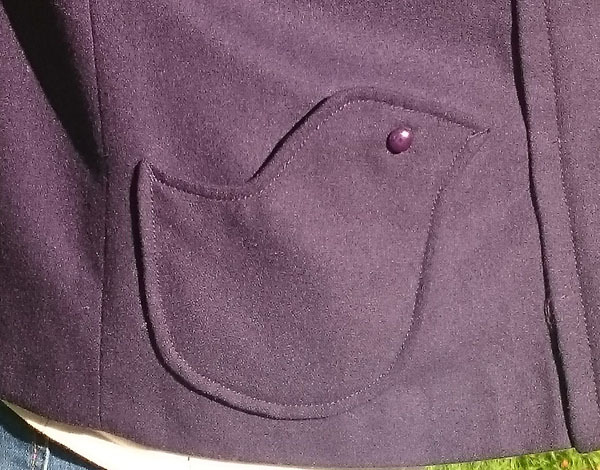 Check out this fantastic bird pocket! Found on a friend’s coat. 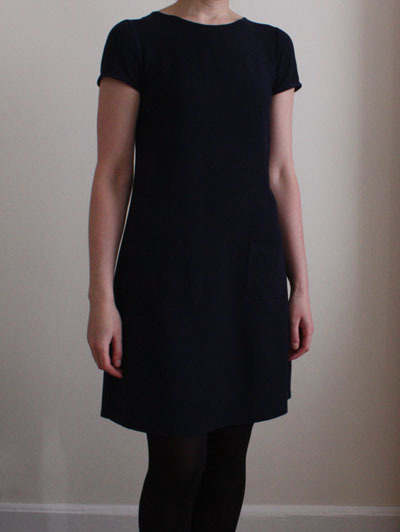 Such simple but clever shaping and button placement – the button is functional, not just sewn on. 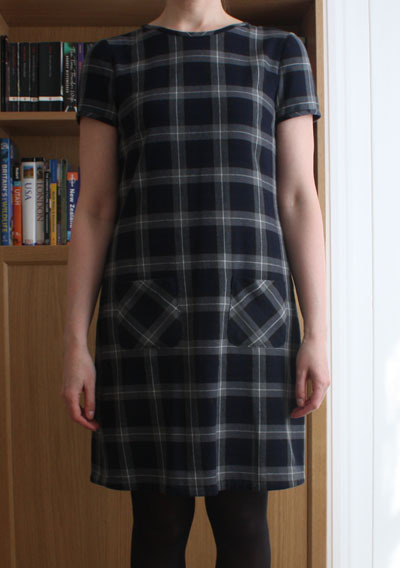 I might try this on a casual Colette Laurel dress or see if I can think of some other clever pocket shapes. 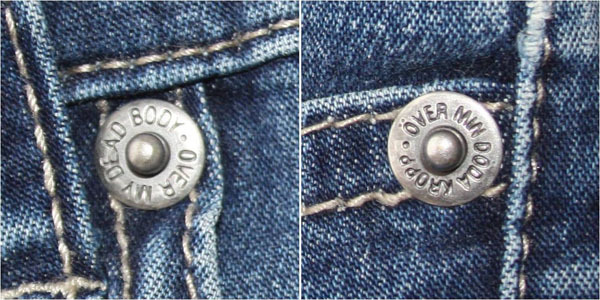 Now I want to find some unusual rivets to use in my me made jeans! What details have you seen that have inspired you for your own makes? When I try on a completed make for the first time that I’m particularly pleased with I find myself doing a little happy dance – these definitely got a happy dance! 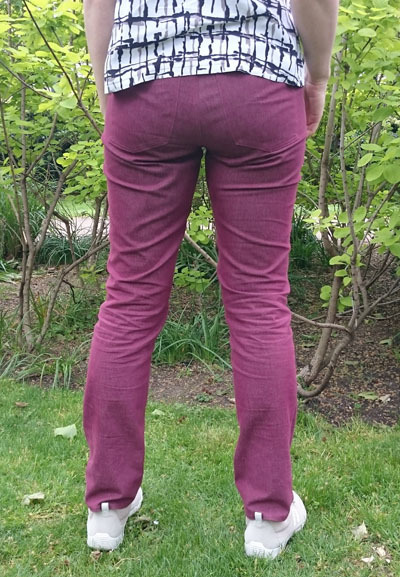 I used the popular Ginger Jeans pattern by Closet Case Files and was very impressed. Heather Lou has done loads of research into making jeans and her passion for helping others to create this super satisfying garment shines through in the incredibly useful sewalong and ebook on sewing jeans. 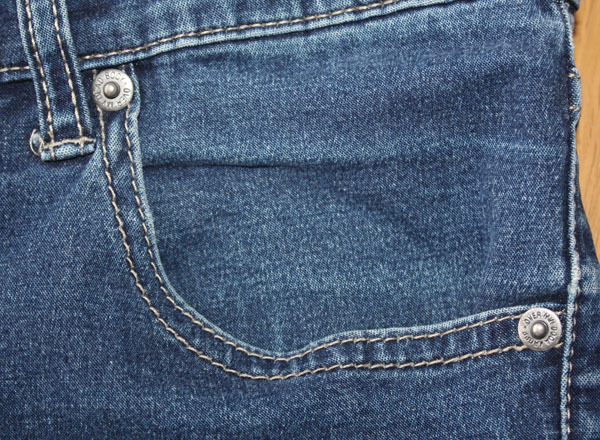 You could easily make the jeans with just the pattern and the sewalong for some extra detail, but I brought the ebook too for a few reasons – 1. I was so impressed with the effort put into the sewalong that I was happy to pay a bit more in appreciation of that; 2. it is useful to have all the resources in one place; 3. the ebook includes additional information such as how to convert the pattern into flared or bootcut jeans, which I fully intend to do. I went for view A – the lower rise and stovepipe leg. However, I didn’t want such low rise jeans so I lengthened the rise by 3 cm. To check the fit of doing this, I initially cut everything out except the waistband then basted the jeans together (after stay stitching around the waist). The back was gaping so I took a wedge out there then adjusted the waistband pattern piece appropriately before cutting that out. 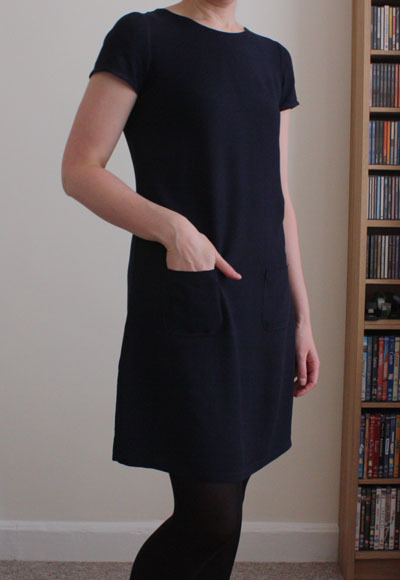 I cut a size 12 which from the measurements I was expecting to have a little room around the hips and to have to take the waist in (sorted out by the wedge mentioned above). Thankfully I basted the side seams after sewing up the rest of the jeans to check the fit again – this showed they were actually a bit tight around the hips. So I used a smaller seam allowance for the side seams from the hips down. I’ll likely do this extra fitting step for all subsequent pairs as the width required for a good fit will depend on how the fabric stretches. 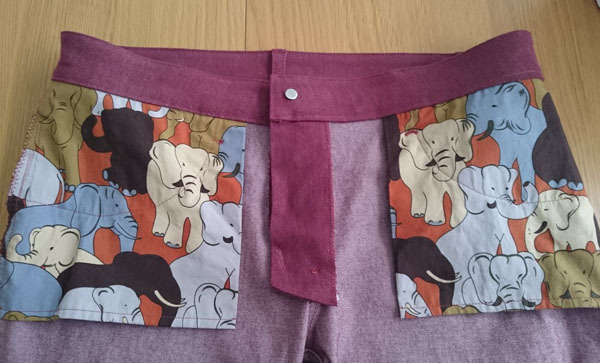 I used the wider back pockets that are provided as a free download and also lengthened them (since I had lengthened the rise), which also means they are very practical and securely fit my phone. I forgot to lengthen the legs, but think I got away with this by finishing the hem raw edge and then just folding over once about 1cm. 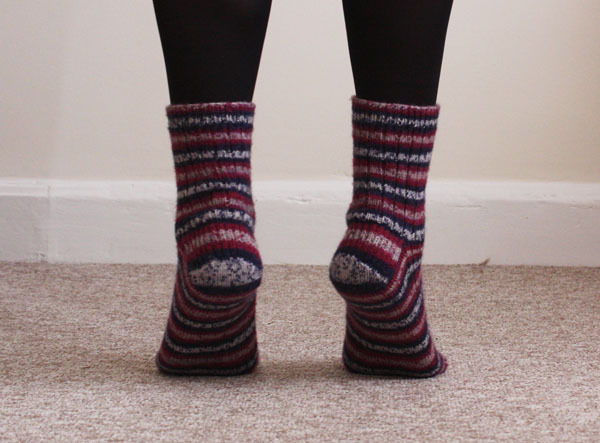 But I’ll certainly lengthen the legs before making again though as I think I’d prefer them to be a bit longer. I used this stretch denim from Minerva, largely because it wasn’t too expensive and I’d seen a couple of other bloggers make Gingers using it. In all honestly, I’d been expecting these to be a toile that I might get to wear around the house, but they have already been getting lots of wear as one of my proudest makes. For the top stitching, I used double strands of regular thread rather than top stitching thread and think this worked pretty well. 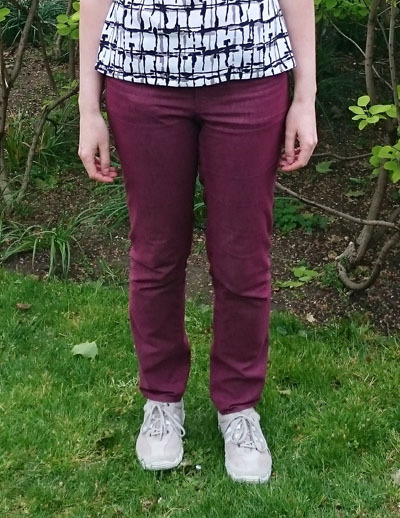 I went for matching thread partly because I was nervous about it going wonky and being obvious, but also saw from research that the majority of coloured jeans don’t have contrast top stitching. I think the top stitching turned out pretty neat in the end, I didn’t rush it and used a soap slither to add guiding markings where I wasn’t just following a straight seam. For a fun detail on the inside, I used an elephant print cotton that I brought in Brighton at least a year ago and as per Heather Lou’s recommendation sewed it up so that you could see the print on the inside. 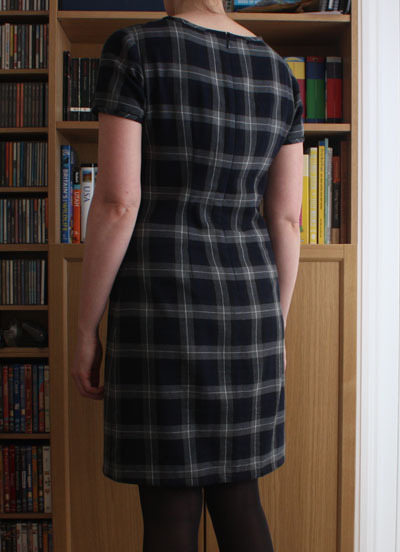 I french seamed the pockets and flat felled as many seams as I could. Took a bit longer, but I think worth it and I love how neat they are on the inside. I can definitely see more me made jeans in my future! 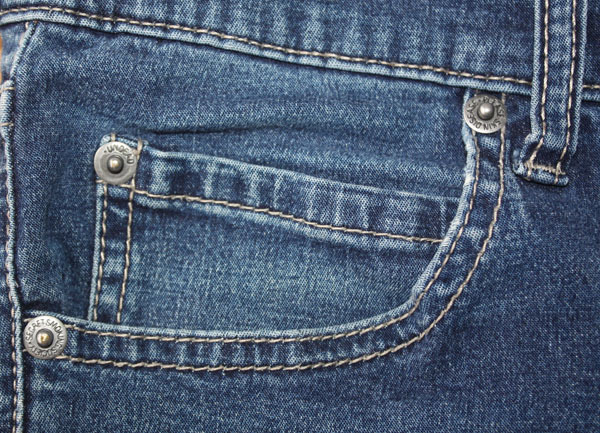 Have you made jeans or plan to make some? While I’ve been sewing, I’ve built up a small collection of fabric marking tools, some that get used a lot, some hardly ever. But recently I discovered a surprising new favourite – a slither of soap! 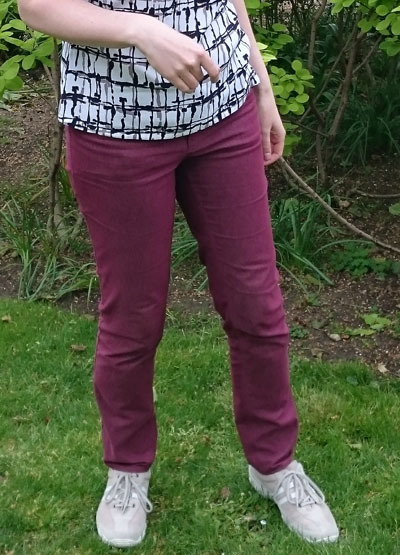 I got the tip from Kathy Ruddy in the Craftsy class One Pattern, Many Looks: Pants and only recently tried it, but love it already! The soap glides very easily over the fabric and you can easily create a thin but distinct line. You can also be confident that it will completely wash out. 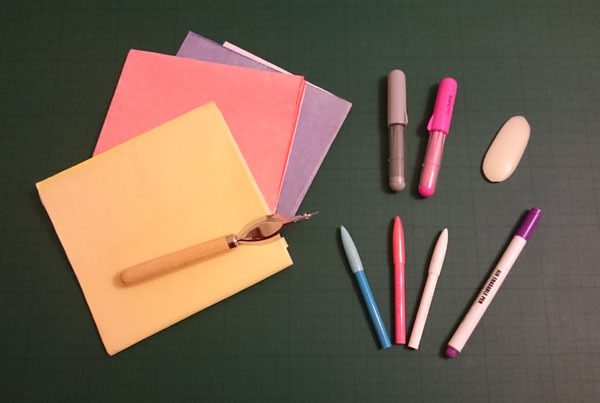 Do you have a favourite fabric marker? 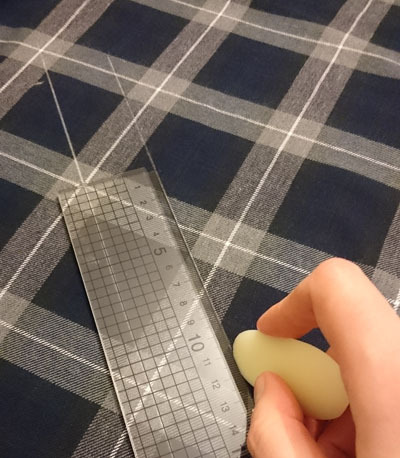 Have you discovered any regular household objects that make good sewing accessories? Hello there! 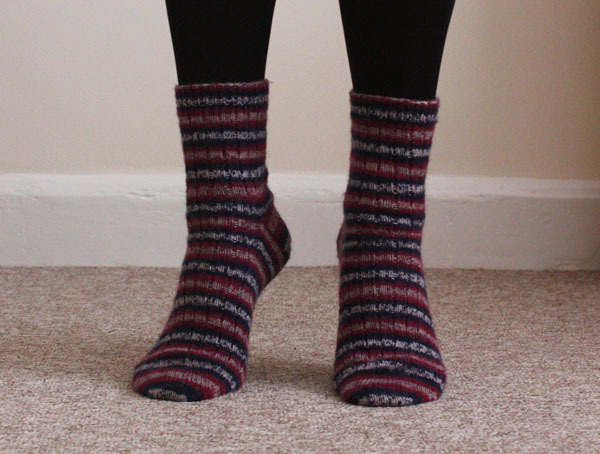 I’ve got some more knitting to share with you today – my first pair of socks. The a nice ribbed sock pattern by Glenna of Glenna Knits fit the bill nicely – I figured the ribbing would help make all the knitting on small needles a bit more interesting while not adding to the complexity (since this is my first pair after all) and it is kindly provided as a free pattern. I treated myself to some bamboo 2.5mm double pointed needles (dpns) for this, which were great to work with. I’ve found that I am more comfortable using 5 dpns than the 4 assumed in the pattern which meant I had to concentrate a little more when working the heel and gusset as the pattern references needle number, but it wasn’t a big deal. As I have big feet (that are totally in proportion with my tall frame!) I sized up the pattern by casting on 72 stitches instead of 64. I’ve also since realised that the choice of a ribbed pattern was a great move for my first pair of socks as it makes the fit pretty forgiving! The stitch repeat in the heel is not one I’ve come across before and I was a little unsure how it would turn out, but all is fine and I guess the pattern helps to give the heel a bit of extra strength? As well as the totally new to me technique of creating the heel and gusset, I enjoyed getting a bit more practice of Kitchener stitch (aided by the free Craftsy class Ins & Outs of Grafting) to close up the toes. It is so satisfying to create the invisible join! The perfectionist in me of course wanted to knit up two identical socks, so I made sure to start the first sock at a point where there was a distinct colour change in the yarn that I could use again for the second one. Came out pretty well even if I do say so myself! I’m very happy with these socks and love wearing them around the house keeping my feet warm in cold weather. 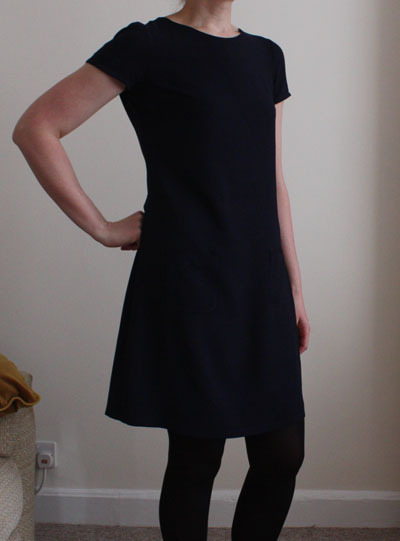 Unfortunately I’ve found that the wool makes them too itchy to be comfortable wearing next to my skin (a problem I always have with wool), hence I’m usually wearing them over tights as in the pictures. For my next pair I’ll be hunting out some cotton sock yarn so that I have the option of wearing them as regular socks as well as over tights. I’m finding the vast majority of sock yarn is a wool blend, especially the ones dyed to be self patterning, so if you know of any good cotton alternatives please let me know! Hi there! I’ve been a bit quiet here, but with the new year I’m refreshed and making good progress with a few projects so hope to be posting regularly again. To start, I’d like to share with you this hat that I finished last month. I hadn’t done much knitting over the last year or two, but after discovering that a couple of my colleagues knit and looking through some of the fantastic things they’ve made I was inspired to pick up the needles again. For a few years now I’ve been meaning to knit myself a hat as the store brought one that I used to wear would get a bit itchy after a while. I’ve had visions of designing a stranded knitting pattern along with ear flaps, but decided to start simple to ease myself back in. 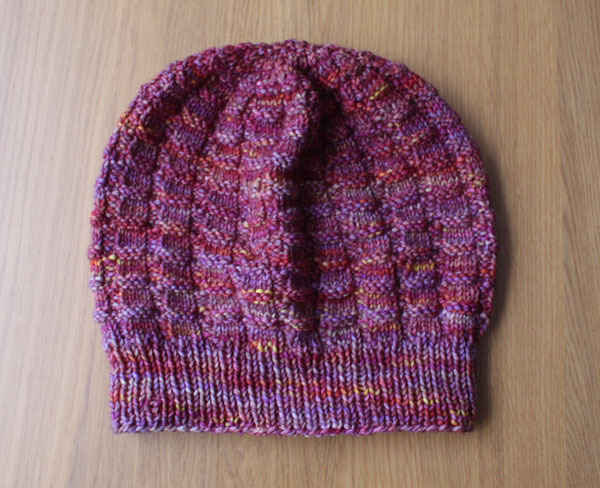 I’d also expected it to get colder earlier in the season and so was keen to be able to finish the hat fairly quickly! I made this using a yarn that I’d brought in New York a few years ago – Malabrigo Rios colour Archangel 850. 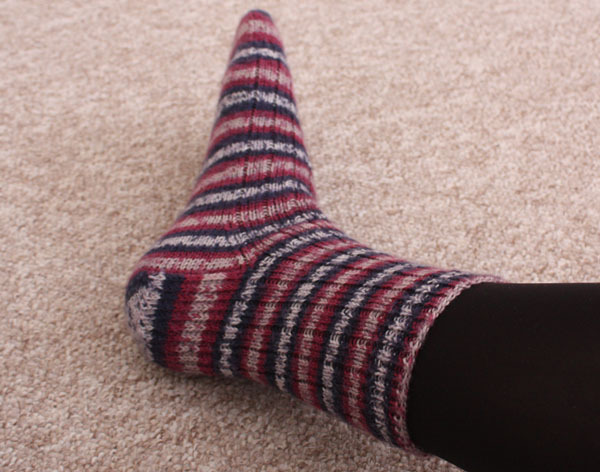 The yarn is lovely and soft, so comfortable to wear all day. Plus it says it has good washability, so practical too! To make the hat, I used the gauge from a test square and my head circumference to calculate the number of stitches required and started out with single ribbing, knitting it long enough to turn up. For the main body of the hat I wanted something a little more interesting than simply stocking stitch but as the yarn has a lovely variegated colour I also didn’t want a fussy pattern, so I settled on an uneven basket weave. I knit the hat using a circular needle so it was a quick make with no sewing up at the end. It wasn’t until I got to the decreasing that I realised I didn’t have any double pointed needles of the right size, but as I was impatient to finish by that time I decided to try using the magic loop method for the first time. 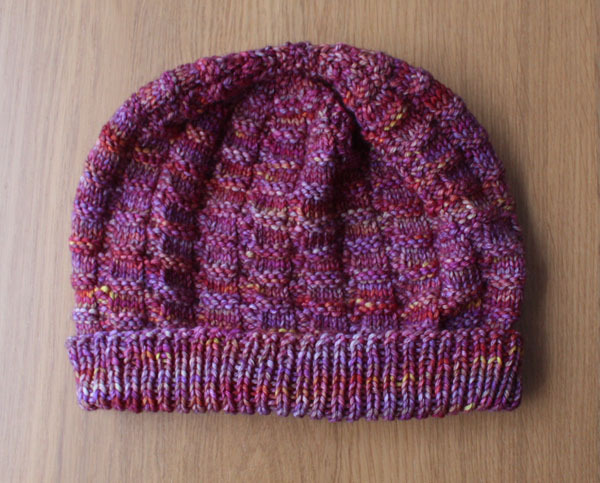 While the first few rounds were not the easiest since the number of stitches was so high in comparison to the length of the needle, I managed to make it work and finished up the hat very quickly. I am happy to have tried a new technique and can certainly see its appeal for projects that you take travelling. If you haven’t come across it yet, The Made Up Initiative was launched by Karen of Did You Make That? to raise money for the National Literacy Trust. The idea was that when you made a donation, if you wanted, to also make a pledge to make something by September 10th. 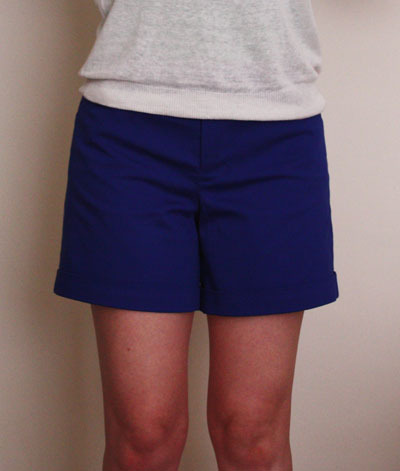 My pledge was to finally make some Sewaholic Thurlow shorts after all the toiles I made last summer. 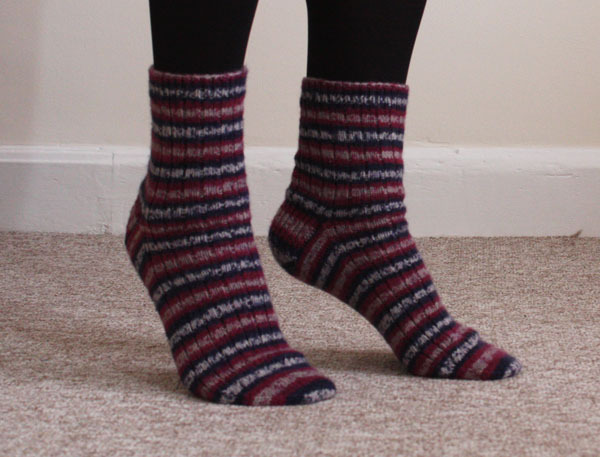 I didn’t quite finish them by the deadline, but am not bothered by that as I’m happy to have finally made a wearable pair, which I probably wouldn’t have done without the pledge! If you would like to donate, you still can at the Justgiving page. 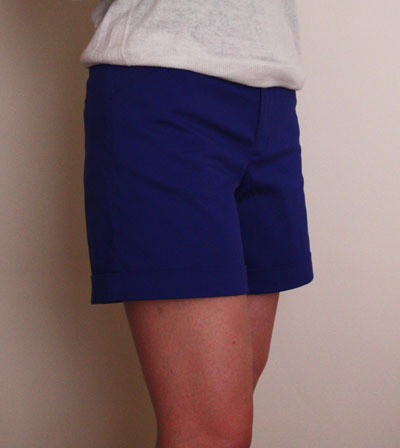 These shorts are my most involved make so far with lots of new techniques, which I enjoyed working through and highlighting by adding some top stitching around the pockets and waistband. There are plenty of little things that I think I could do a bit better next time, but I’m still very happy with the overall finish of these. 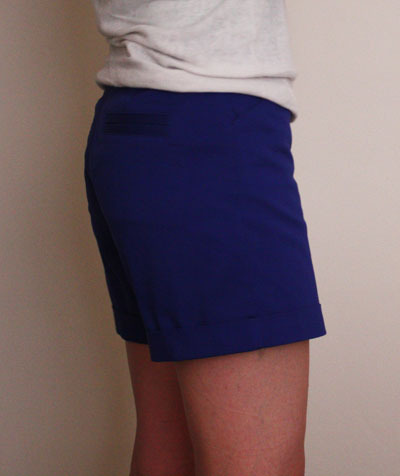 I went for the cuffed short version although being tall, I lengthened the legs so the finished length is probably similar to the straight version of the pattern. One good thing about not making these up until now is that I was able to make the back pockets bigger in order to fit the larger phone that I now have. 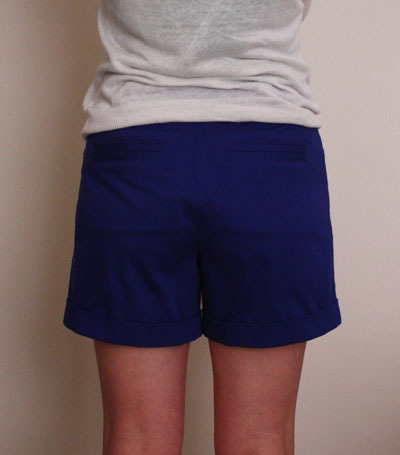 I love that sewing my own clothes gives me the flexibility to do that! 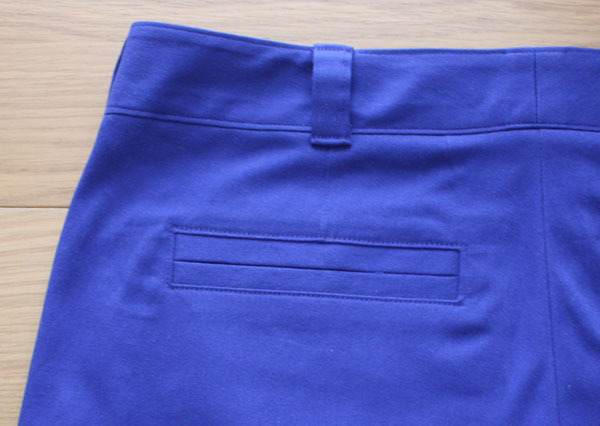 After cutting out I realised I’d marked the right and wrong sides of the fabric incorrectly, but this turned out to be a happy mistake as it reversed the fly zip and I prefer it this way round as it is the same as all my other trousers. 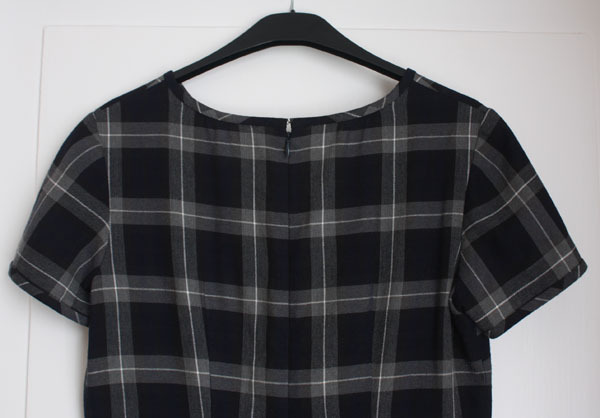 The fabric is this stretch cotton from the Sew Over It Islington store. It was my first time working with a stretch fabric and think it was definitely a good idea as it helps the fit be a bit more forgiving. 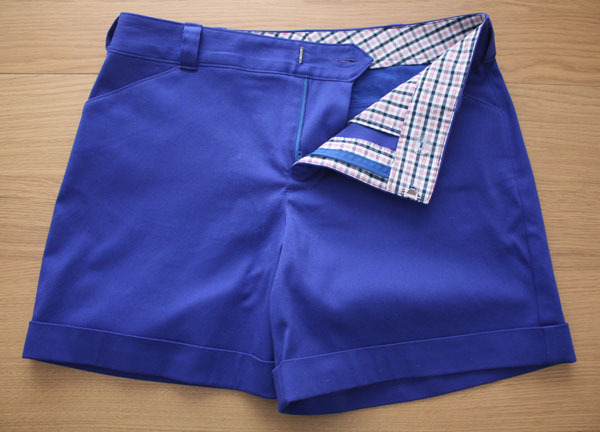 This fabric is a nice weight for shorts, light enough to be comfortable in warm weather but sturdy enough to cope with the wear that shorts will get. In terms of construction, the instructions are pretty good and I consulted Lladybird’s sewalong when I wanted a bit more guidance. The main new techniques for me were the welt pockets and fly zip, but by slowly working my way through they came out quite well. I was a bit concerned with the welt pockets when I first turned them out as there seemed to be a big gap, but some careful pressing was able to sort that out. 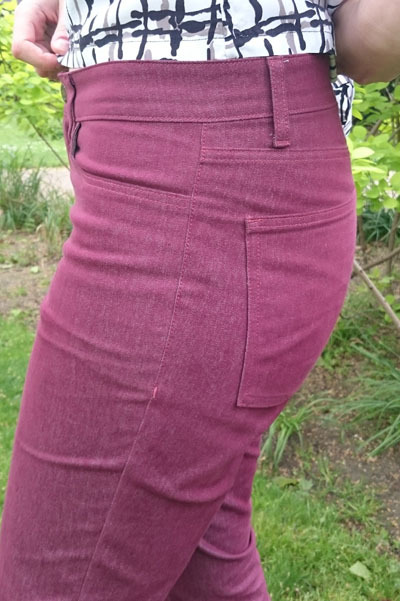 I did deviate from the instructions a little bit: I only interfaced the waistband facing, but think the finish would have been better if I’d interfaced both sides of the waistband as instructed – despite grading the seam allowances you can see a bump on the outside. I didn’t sew the back extension as instructed as I found it hard to get a smooth finish on the back waistband edge, so instead sewed the waistband together before attaching. The belt loops seemed very long so I cut them down to be more in line with the waistband width – not such a good idea as they are now too thin for any of my belts! And after checking my ready to wear trousers can see that the belt loops are usually longer than the waistband – I’ll know better next time! Despite all the fitting work of last summer, I did a bit of unpicking after trying them on to remove about 4 cm from the back inseam legs as there was way too much fabric there. While I do think these are wearable, the fit is not right yet – both back and front crotch curves could do with some adjusting. 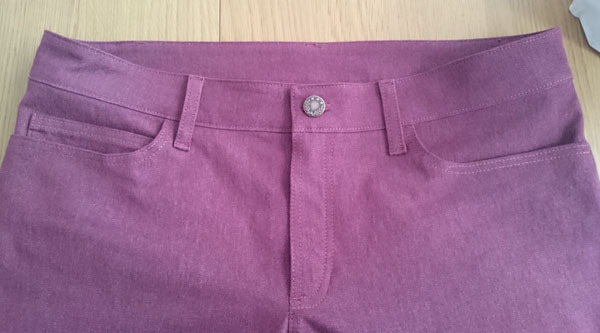 I have some ideas on how to correct these, but really I think it is time to admit I need some help with this, so I’ve signed up for the Sew Over It Ultimate Trouser class. Hopefully with the help of an expert I’ll be able to get a trouser pattern that is well fitting and then as it is a simple trouser shape I hope to be able to use that as a block to create different trouser styles from. 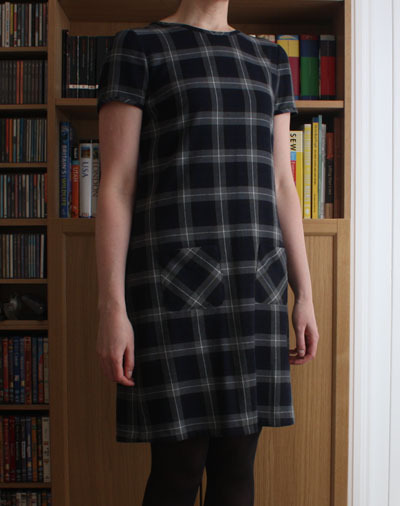 I’m already pondering whether I’ll be able to hack the pattern in between classes to add some pockets! Back to the Thurlows, I’ll leave you with my favourite photo – showing the contrast check fabric I used for the lining pieces. It might sound a little strange, but I really enjoy seeing pictures of the contrast linings that sewers often use, especially when they are fun prints. I’ve already got a colourful elephant print cotton pegged for that purpose in a future garment or two!